Liberty and Peace NOW! Human Rights Reporters, internationales Medien-Projekt für Menschenrechte, IBS Independent Broadcasting Service Liberty, Radio IBS Liberty, IBS TV Liberty, John Baptist Mission of Togo, IFN International Family Network d734, British Newsflash Magazine, Regionalhilfe.de, 3mnewswire.org, 3mnews.org, Andreas Klamm – Sabaot Journalist Communications and Jewish and Christian friends and people in this world which want to have access to news which make a difference. Liberty and Peace NOW! Human Rights Reporters has been founded in 2006 by Andreas Klamm Sabaot in London, United Kingdom and in Ludwigshafen am Rhein, Germany. IFN International Family Network d734 is operated since 1984 as an non-commercial international faith ministry, which publishes in different countries, printed publications, publications on the internet, online, radio, television, CD, DVD and other media tools. CREATIVE COMMONS LICENSE conditions do apply as indicated. 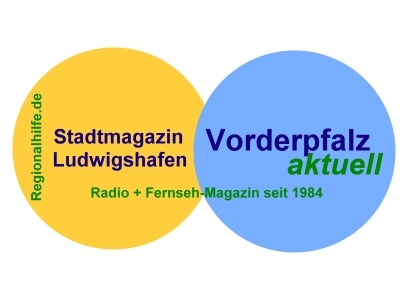 The magazine and magazine is providing special coverages on the issues of social activities, international understanding, human rights, free speech, freedom of the press and support of disabled people worldwide, both in the English and the German language and if possible in other languages, too. . Non of the members of the international media network is interested in „special financial transactions“. Liberty and Peace NOW! Human Rights Reporters, BRITISH NEWSFLASH MAGAZINE is an independent, free, international media project in association with IBS Independent Broadcasting Service Liberty, BRITISH NEWSFLASH MAGAZINE, IBS Television Liberty, Radio IBS Liberty (Leeds) operated by disabled journalists and free media producers from different countries, founded in 1986 by journalist Andreas Klamm – Sabaot, which got after three accidents disabled (or handicapped). Beiträge Dritter sind als solche gekennzeichnet. Vervielfältigung, Bearbeitung und jede Art der Verwertung ausserhalb der Grenzen des Urheberrechtes bedürfen der schriftlichen Zustimmung von Andreas Klamm Sabaot, Liberty and Peace NOW! Human Rights Reporters, IBS Independent Brodasting Service Liberty, Vorderpfalz aktuell und Stadtmagazin Ludwigshafen, Radio IBS Liberty, IBS TV Liberty, IFN International Family Network d734, christian charity ministry, British Newsflash Magazine oder des jeweiligen Verfassers. Downloads und Kopien dieser Seite sind nur für den privaten, gemeinnützigen, nicht–kommerziellen Gebrauch gestattet. www. libertyandpeacenow.org, www.menschenrechtsreporter.blogspot.com, www.radiotvinfo.org und www.humanrightsreporters.blogspot.com zu finden. Im sekundären Zweit-Beruf ist Andreas Klamm – Sabaot dreijährig staatlich geprüfter Gesundheits- und Krankenpfleger und studierte in den Jahren 2003 und 2004 als Vollzeit-Student an der Evangelischen Fachhochschule für SOZIAL- und Gesundheitswesen in Ludwigshafen am Rhein in der Fachrichtung Pflege-Management (Pflege-Leitung).